I love new drugstore makeup time. Have I mentioned this? I'm absolutely certain that I have, since it's been rolling out like crazy lately and I'm on full drugstore makeup overload. Between new products and Shoppers Drug Mart starting to carry new brands in their stores, I'm spending a little too much time stalking their shelves lately. 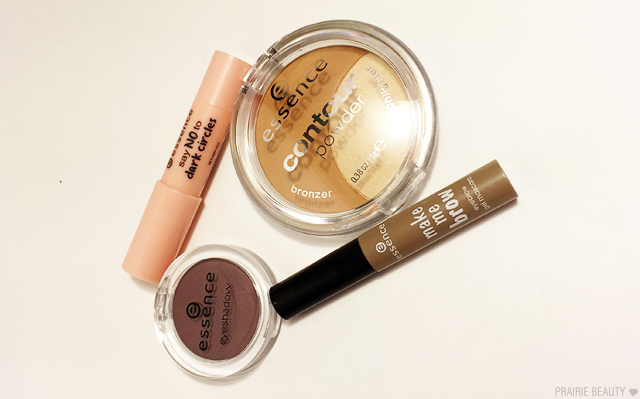 Anyway, one of the most anticipated spring launches for me was the new products from essence. To be honest, any new launch from essence is exciting for me, because they really are one of my favorite bargain brands. Unfortunately, some of the launches I was most excited about are Target exclusives, and therefore not available on Canadian shelves anywhere, but I did grab a few things that I was very intrigued by. To check out what I picked up along with some first impressions and mini-reviews, keep reading! This is a really cute little compact, isn't it? Obviously there's a nod to Make Up For Ever in the design, which people will probably feel a lot of different ways about, but the powders themselves are very different. 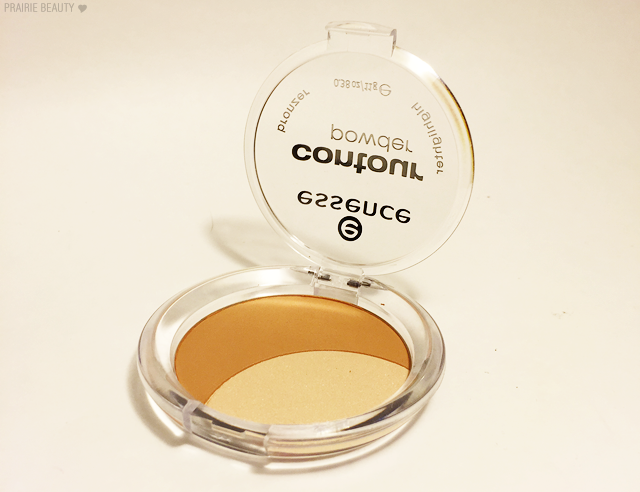 I personally feel like this contour shade is more of a bronzer on my skintone, so I'm not sure I'm really going to be able to give my full thoughts about this until the summer because bronzer seems to look basically insane on me in the winter. The highlight is very soft and pretty and I actually really like it. I'm more of a subtle highlighter girl because I have some texture on my cheeks and that really tends to show up more distinctly when I use a more intense highlight. So far, I think this is a cute little compact and has potential. The powders seem to have good texture and blendability on the skin, so now I just have to wait and see how I feel about it in a season that will make more sense for me. As soon as I saw this satin matte plum shade, it absolutely had to come home with me. When essence first launched here in Canada, I remember picking up some of their eyeshadow singles for $1.49 and the quality was really, really good. These ones are a little more expensive, with a little bit more significant feeling packaging, but I don't feel like these have quite the punch that those ones did. That said, this particular shade builds up beautifully in the crease and outer V for a really pretty plum smoky eye, and I definitely enjoy using it. One thing I really like? 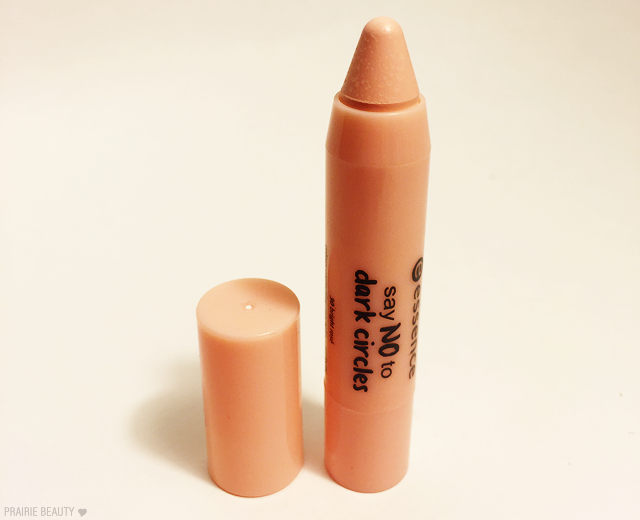 I haven't really experienced fall out with this shade, which is rare for this type of shade and formula. Another thing I really like is that this maintains the plummy shade on the eyes and doesn't run too grey once applied, which darker shades like this tend to do. 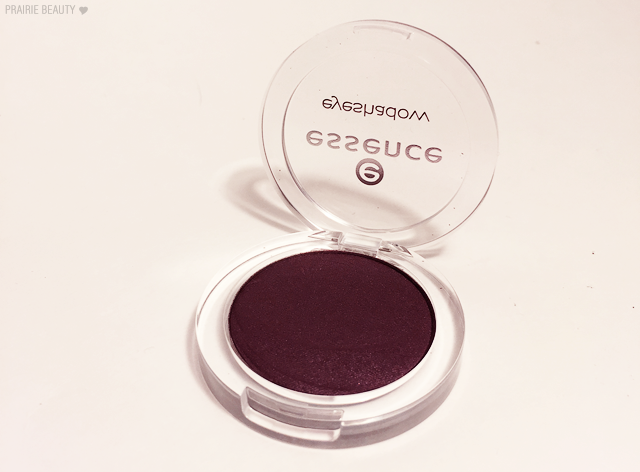 So, while I don't think this is a must have, I do think it's a decent drugstore shadow in a great shade. I was very intrigued when I saw that essence was putting out correctors, so I grabbed the one for dark circles as soon as I saw it on the shelf. Unfortunately, this one was a huge miss for me. I've tried it a few times and it really doesn't correct the dark circles the way that I want it to and it creases like crazy on me. I don't even really know what else to say, I just really don't like this product and found that it didn't work for me. Saved the best for last! I'm a big fan of tinted brow gel and I reach for it pretty much every day, whether I'm filling my brows in with pencil first or I'm just running a little through naked brows for some hold and definition. This one has really, really impressed me. I'm not going to go too far into detail, because I'm planning on reviewing this product later this week or next week, but at this price point I really don't think anything can beat this. It has a really good brush and applies just the right amount of product to my brows to keep them in place and fill them in a bit. 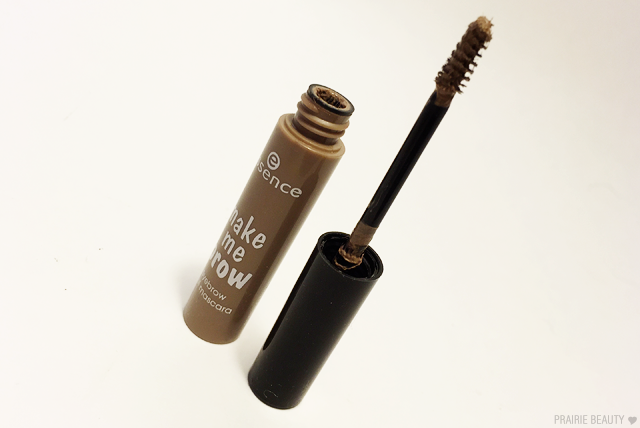 Seriously, I would recommend this product to anyone, but especially those who are just dipping their toes into trying out brow products because this is a perfect entry product. I tried to be a very good girl, because there were actually so many new products on the shelf that I wanted to try that I could have gone absolutely mad with power and bought them all, but I wanted to try a good selection of things instead and really see how I felt about them. That said, there are also some really good looking new lip products from essence that I might grab for review sake in the near future. As far as these products go, I feel like the only real must try is the brow gel, but the eyeshadow and the contour powder are both pretty good as well. 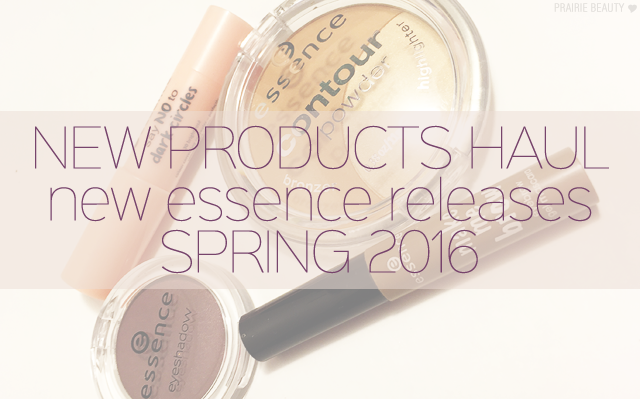 Have you tried any of the new essence products that just dropped? Let me know in the comments!